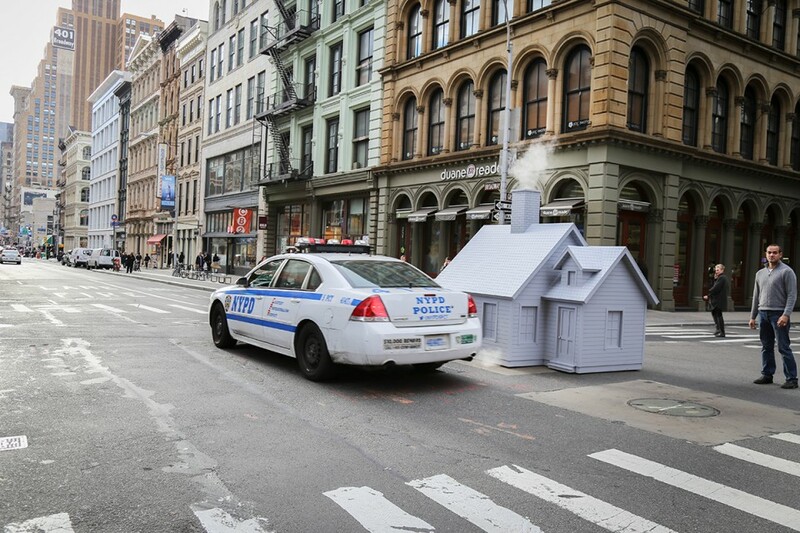 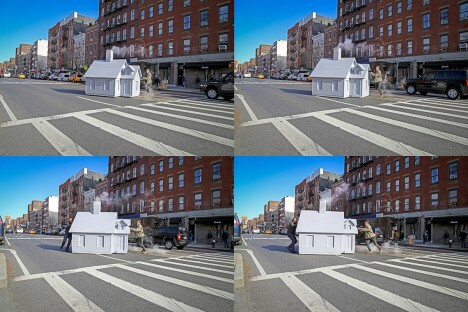 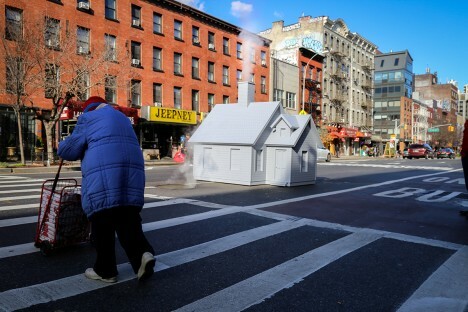 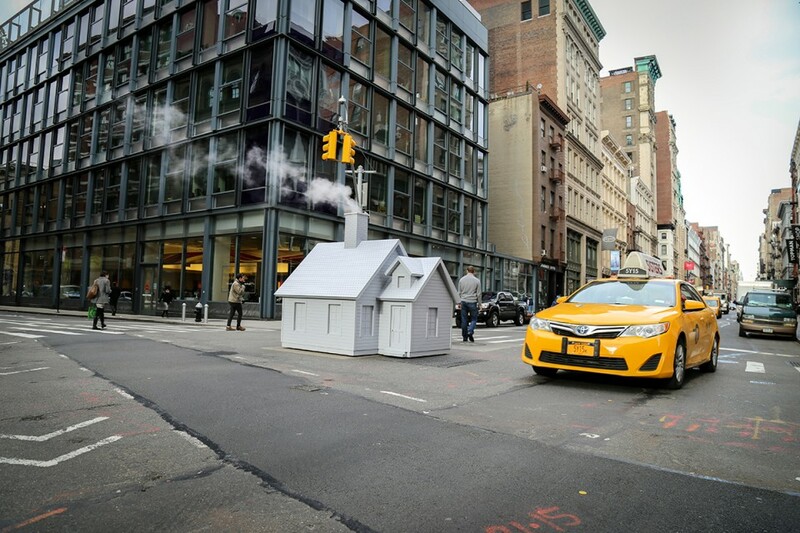 This mobile art installation turns the most congested New York City intersections into an unlikely context for a most rural-looking little cottage, the illusion completed thanks to steam rising up from below the streets. 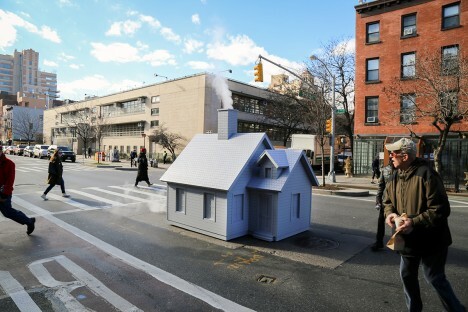 When artist Mark Riegelman saw an orange traffic cone acting as an inadvertent steam conduit, the idea came to him to build something large and out-of-place to grab attention in a city of spectacle. 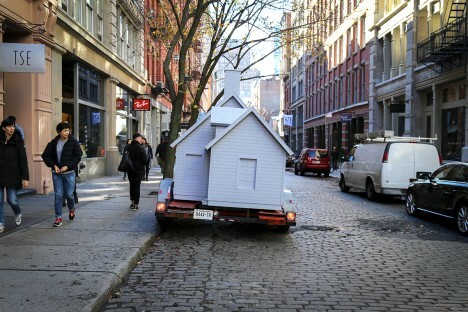 Measuring 6 by 8 by 8 feet, the tiny micro-cabin still weighs hundreds of pounds and had to keep moving – as an unsanctioned project, it needed to avoid authorities. 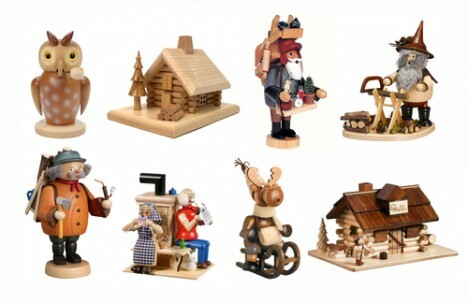 The German “Räuchermann, also commonly referred to as ‘smokers’, are simple wooden incense burners, often resembling cabins, animals, and chimney sweeps.” These are usually, however, found on shelves in homes, not in the form of giant homes on the street.